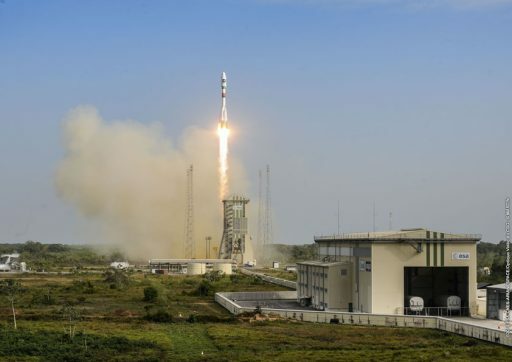 A Russian Soyuz 2-1B rocket blasted off from French Guiana on Thursday, lifting a pair of European Galileo Navigation Satellites into a Medium Earth Orbit 23,500 Kilometers high in a mission lasting close to four hours. 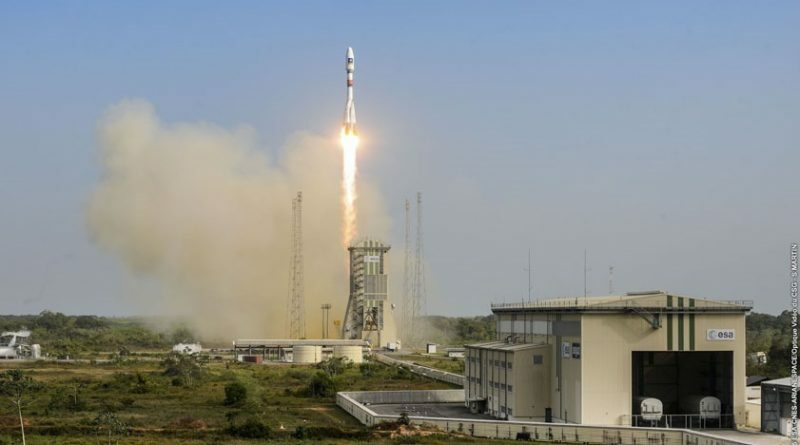 The 11th and 12th Galileo satellites lifted off at 11:51 UTC and received a smooth nine-and-a-half-minute ride atop the Soyuz before the Fregat upper stage assumed control for two main engine burns, spaced by a coast phase of over three hours. Galileo FM-8 and 9, Andriana and Liene, were sent on their way 3 hours and 48 minutes after launch into what should be an on-target orbit. Thursday’s launch marked the 16th Soyuz launch of the year with one more to go from the Baikonur Cosmodrome set for next week to loft a Progress resupply ship setting sail for the International Space Station. Overall, it was the 13th launch of Soyuz from its equatorial launch site. Thursday’s launch was the year-closing mission for Arianespace, marking the completion of a successful year that saw 12 launches from the tropical space base. Of the 12 missions, six were flown by the heavy-lift Ariane 5 while Soyuz and Vega each flew three missions. All six Ariane 5 missions were typical bread-and-butter business, lofting pairs of communications satellites to Geostationary Transfer Orbit with the notable exception of the MSG-4 weather satellite that launched in July. The small Vega can look back at a very successful year, closing out its VERTA demonstration program and transitioning to an operational status. Vega lofted ESA’s Intermediate Experimental Vehicle in February, conducing a demonstration of new re-entry technology for future applications. In June it lofted the Sentinel 2A Earth Observation Satellite followed by the launch of ESA’s LISA Pathfinder in early December on a mission to the L1 Sun-Earth Lagrange Point for a demonstration of cutting edge technology for the measurement of gravitational waves on a future science mission. 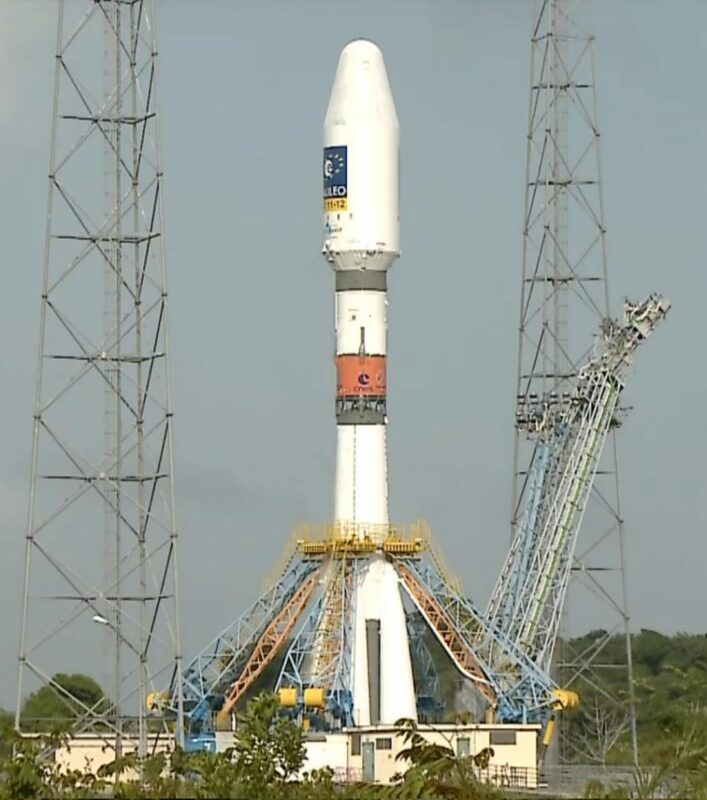 Soyuz launches from French Guiana were entirely dedicated to Galileo in 2015. The ‘Americanized’ version of the Soyuz 2-1B rocket, also known as ST-B, features a number of changes compared to its near-identical twin launching from Baikonur or Plesetsk. Modifications made to the launcher enable it to tolerate the moist climate at the Guiana Space Center which is very different from that at the Russian and Kazakh launch sites. Furthermore, Soyuz – when launching from South America – hosts a telemetry system transmitting in S-Band and a Flight Termination System that can purposefully destroy the launch vehicle in the event of a malfunction during ascent. Normally, Soyuz terminates its flight by an emergency engine shutdown, rendering the vehicle non-propulsive. Sitting side by side atop the Soyuz rocket, each of the two Galileo satellites weighed in at 717 Kilograms, requiring from Soyuz a total performance of 1,603 Kilograms accounting for the mass of the satellites and their payload adapter. Built by OHB in Germany, the Galileo Full-Operational Capability Satellites (FOC) host very precise atomic clocks to generate the accurate timing solutions needed to deliver stable navigation signals used by ground terminals to calculate their position. The Galileo satellite constellation will provide to European Nations and their partners a continuous, global navigation capability. Because foreign systems such as the American Global Positioning System could be shut down in a time of crisis, European policy-makers identified the need for an independent navigation system. Unlike its U.S., Russian and Chinese counterparts, Galileo is a civilian system operated by the European Commission. Galileo, ultimately consisting of 30 satellites in three orbital planes, will offer its highest accuracy to paying customers in governments and the private sector while standard services will be free of charge. The satellite constellation will also deliver global search and rescue services. Thursday’s launch brings the number of Galileo satellites in orbit to 12 and, once the newest additions are declared operational, Galileo can begin providing initial services. The satellites lofted on Thursday are to enter Plane C of the constellation, specifically slots 2 and 7. The Galileo satellites host four clocks – two passive hydrogen maser clocks and two Rubidium atomic clocks. The hydrogen masers were chosen for their high accuracy and very low drift of under 0.45 nanoseconds in half a day while the Rubidium clocks are considered more robust, but exhibit a larger drift of over 1.8 nanoseconds over 12 hours. Galileo operates one hydrogen maser as the primary clock with one Rubidium clock in a hot-backup mode. The clocks provide the precise timing solutions needed for the calculation of the time delay from the moment the signal is sent and the arrival at the receiver which in turn allows the calculation of the distance to the satellite. Three simultaneous distance measurements to three different satellites are needed for the receiver to calculate its precise position. Standing 46 meters tall, the Soyuz rocket headed into countdown operations eight hours ahead of the planned launch time with launch vehicle activation and final tanking preparations. Seven hours prior to launch, the two Galileo satellites were powered up for final checkouts and the ground network of tracking stations completed communications checks with the Control Center in Toulouse where personnel was preparing to assume control over the newly launched satellites. The Russian State Commission, also overseeing launches from the faraway Soyuz launch site, gave a GO for propellant loading which commenced four hours before liftoff as the rocket was loaded with 274 metric tons of Liquid Oxygen and Kerosene – a process taking two hours and also including the transfer of Nitrogen and Helium to the rocket’s pressurization tanks. The Soyuz rocket was revealed on its pad with one hour to go in the countdown when the Mobile Service Gantry rolled back to its liftoff position at a distance of 80 meters to the rocket. Soyuz was prepared for final countdown operations, received its flight software and the two satellites switched to battery power before the count entered its automatic sequence. Over the last six minutes, Soyuz pressurized its tanks, conditioned the engines for ignition and transferred to onboard power and internal control to get set for ignition. 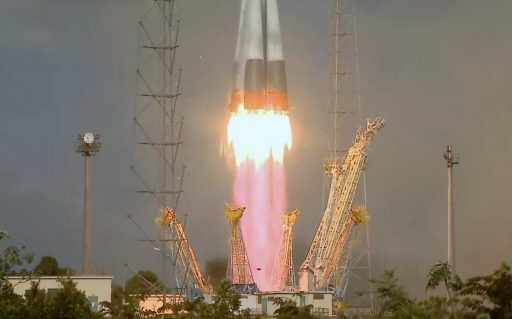 Soyuz ignited its four boosters and core stage twenty seconds prior to liftoff, soaring to a collective liftoff thrust of 422 metric ton-force. 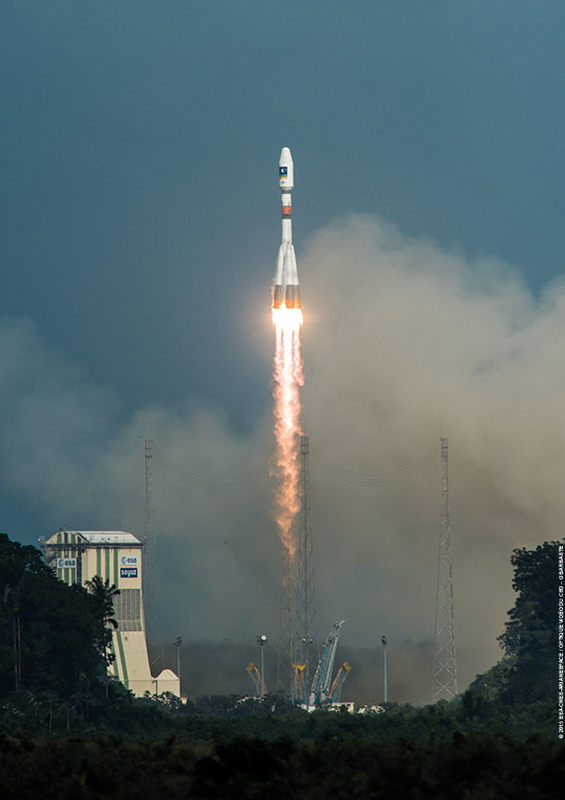 Liftoff occurred at 11:51:56 UTC and Soyuz rumbled into relatively clear skies over French Guiana, pitching and rolling onto a north-easterly course for a flight over the Atlantic to an orbit of 55 degrees. Burning 1,600 Kilograms of propellants every second of powered flight, Soyuz quickly passed Mach 1 and encountered Maximum Dynamic Pressure one minute into the mission. The four boosters finished their burn one minute and 58 seconds into the flight, shutting down their RD-107A engine after each burned 39,600 Kilograms of propellants to help accelerate the launch vehicle to over 1.5 Kilometers per second. Separated by pyrotechnics and pushed away by pistons, the 19.6-meter long boosters began a descent from 50 Kilometers in altitude for a crash in the Ocean 350 Kilometers from the launch site. Relying on its RD-108A engine on the Core Stage, the Soyuz continued on towards the edge of space with a vacuum thrust of 94 metric ton-force. Three and a half minutes into the mission, Soyuz had reached an altitude of over 110 Kilometers and separated its payload fairing as aerodynamic forces could no longer harm the two satellites. The core stage consumed its 91,500-Kilogram propellant load by 4 minutes and 45 seconds when it shut down its engine. Two seconds later, the RD-0124 engine of the third stage was ignited, coinciding with the pyrotechnic separation of the core stage to enable the Block I stage to head on towards orbit. With a thrust of 30 metric ton-force, the third stage fired for 4.5 minutes, successfully boosting the orbital unit onto a sub-orbital trajectory. Separation of Fregat occurred nine and a half minutes after launch, marking a launch success for Soyuz. Flying in the MT configuration – its largest – the Fregat Upper Stage carried 7,100 Kilograms of storable propellants for consumption by the S5.92 engine that can operate at two thrust settings – 19.85 Kilonewtons and a reduced thrust level of 14kN while 12 hydrazine thrusters are used to deliver three-axis attitude control. Fregat was set for a pair of burns to reach the target circular orbit, 23,522 Kilometers in altitude at an inclination of 54.95°. The first boost, just over 13 minutes in duration, took place immediately after separation from the Soyuz and successfully placed the stack into an elliptical transfer orbit with the apogee altitude close to the target orbit. Fregat headed over Europe as it started a 3-hour 15-minute coast to climb all the way to apogee. The second burn of Fregat started 3 hours and 38 minutes into the mission and lasted close to four and a half minutes to increase the perigee and place the stack into a circular orbit. 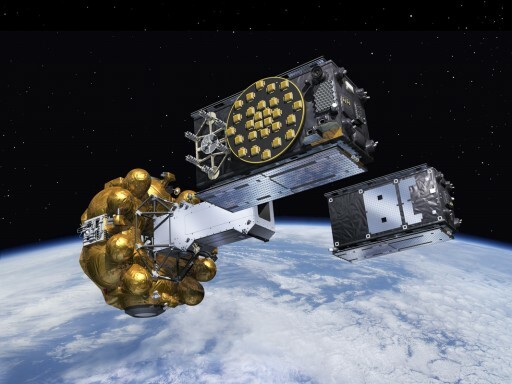 Separation of the two Galileo Satellites was confirmed three hours and 48 minutes after launch as the two spacecraft, nicknamed Andriana and Liene, were released from their dispenser into different directions. Following orbital insertion, the two spacecraft were to complete a series of pre-programmed steps that include the deployment of the solar arrays, the acquisition of a stable three-axis orientation and the initiation of communications with ground stations. The spacecraft will complete several days of initial testing before heading into commissioning and starting to transmit navigation signals for further testing. Fregat is finishing its mission with an avoidance maneuver to move away from the satellites followed by two small engine burns that move it into a disposal orbit for passivation six hours & 55 minutes after launch. 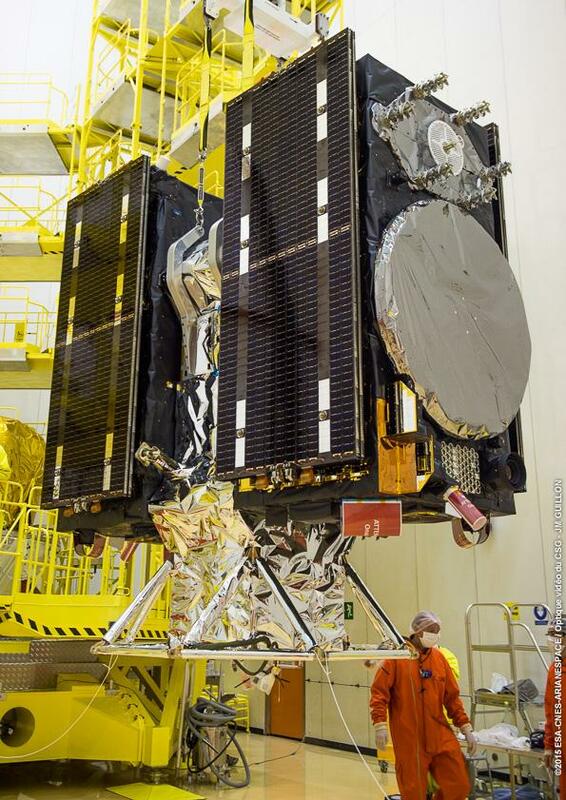 Pending a successful commissioning of the newly launched satellites, the constellation will consist of 12 satellites and enter its initial operational capability, starting initial services and extensive testing. The current plan, after three Soyuz launches in 2015, calls for one Galileo launch in 2016 using the more-powerful Ariane 5 rocket to lift a group of four satellites. 2017 would see two launches, one with Ariane 5 and one with Soyuz to bring the number of satellites up to 22. Galileo will achieve its fully operational capability with 24 active satellites.